The World Cup is around the corner and many wise people are busy thinking of different ways to utilize the period. One of the qualities of a good business man and entrepreneur is the ability to adapt to trends, especially in related fields. During the BBNaija period, many Nigerian bloggers used the period to make lots of money especially the entertainment bloggers. Now is another great period for you, this time not to bloggers alone but to almost every business man and woman. You can use this period to set-up many things that will be beneficial to both you ad your family, and in addition, you'll still maintain the business even after the World Cup. Nigerians are very good in utilizing opportunities. During the 'Lazy Nigerian Youth Trend' period, instead of wasting time on the social media platforms criticizing the Nigerian president, many Nigerian youths utilized the period and went into producing t-shirts with designs like 'Lazy Nigerian Youths' on them. Same way, you can go into the production of Jerseys, Caps, Mufflers, Flags and Wrist Bands and other things Nigerians will buy to pledge their loyalty to the Super Eagles. Ad: Be a true fan, get original Naija jersey for your FIFA world cup jersey now and pay on delivery! Apart from these, you can also add countries like Brazil, Spain, Italy, France, in fact, the list is unlimited. This is because, not all Nigerians are fanning the Super Eagles. You need to diversify if you really want to make sales. Nowadays, creating and monetizing a blog is now easier, you can even get a domain for as low as N1,250. 2) Creation of the blog. 3) Increase your Domain Authority, Page Authority, Alexa Ranking and Backlinks. That's all you require to start a blog in 5 easy steps. You can make money from the blog by using ad networks, affiliate marketing, selling of digital products like e-books (or even physical products), direct advertisements and more. If you have issues creating a blog, you can hire us to do that for you at a very affordable rate. 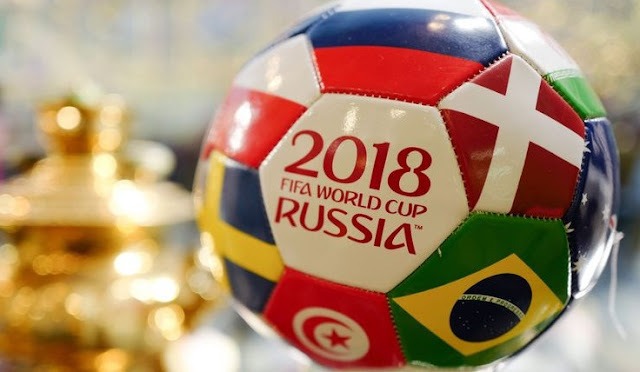 Apart from this, you can also create a YouTube channel for displaying the latest videos and clips related to the World Cup. It doesn't matter if it is a restaurant or barbing salon, you can convert it into a viewing center and still be making the gains from it. All you need is a television and some other electronic devices and you are good to go. One benefit of this is that it'll help you gain more customers that will continue patronizing you even after the World Cup is over. In as much as I don't bet and I don't promote it, it is worth mentioning in this post. Even if you don't want to play, you can get a shop and start working as a betting agency. The greater people that bet through your shop, the higher your commission. Getting a shop is the first to consider in this, and also an area that is not pre-dominated by another betting center. While submitting your application form, you'll see all the requirements. You can also check out the best betting websites in Nigeria today! This is another great way of utilizing the World Cup period. Buy daily newspapers and sell them to sports fans that pass by. You might be thinking that people don't read the newspapers again, but try sampling the headlines and I bet you'll have to go to your neighbor's shops to borrow more seats. You can choose to go into only newspapers and magazines that feature sports news and sports lovers will have no other option than to visit your shop to read the sports gists. You can make money by printing the World Cup schedules and timetables and sell them to sports lovers. A copy can go for N50 to N100 and at the end of the day, you'll be amazed at how much profit you were able to make. The world cup is a period that the wise will utilize very well. It is a period of meeting lovers of football. There are many places to meet football lovers like online forums and groups, betting centers, viewing centers, newspaper depots and more.